Some say that the beginning of the year is always daunting, whether you’re starting a new academic year, or even meeting new people. Well our matric class of 2015 begs to differ. Saturday, 24th January, our bright stars were at the branch bright and early, eagerly waiting to meet the people they aspire to be like one day, their mentors. 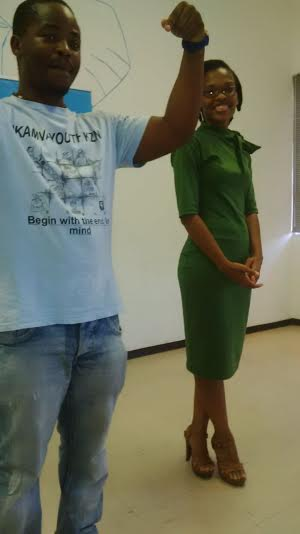 Mentor Day kicked off with a welcoming from Zukile Keswa, the Branch Coordinator. 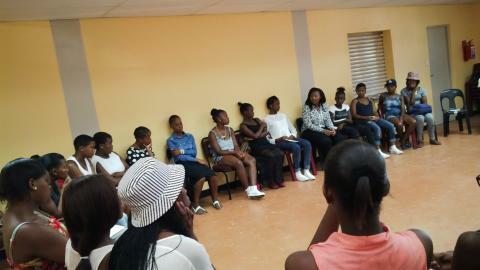 In attendance were over 20 mentors, ranging from UCT students to working professionals. Tamara Stelma, the Mentorship Coordinator from UCT, introduced the programme to everyone and shared the schedule for the day. The mentors and mentees were paired according to the results of a questionnaire the mentees and mentors completed prior to the event. During the one on one session they signed a commitment agreement contract that stipulated the number of hours that they had to be in contact with each other. From the library, to the lab, to the office you could see the mentors and mentees engaged in conversation getting well acquainted and creating a timeline for the year. One mentor said that the day was productive and a great way of networking with other great minds (mentors) and is looking forward to the rest of the year, coaching and inspiring this exciting bunch. The day concluded with a discussion with the Grade 12s led by Busiswa Dayimani, the Branch Assistant, on the prospects for the year. What is expected of them, what they should expect from the year and what steps to take from now onwards. “There is still quite a lot of work to be done but if we put in the necessary work we are destined for success…” Busi said to the learners as they attentively listened. Energies are high, expectations are high, and we cannot wait to see what this year holds for the matric class of 2015. With this well integrated support structure, the sky is the limit for these young stars. 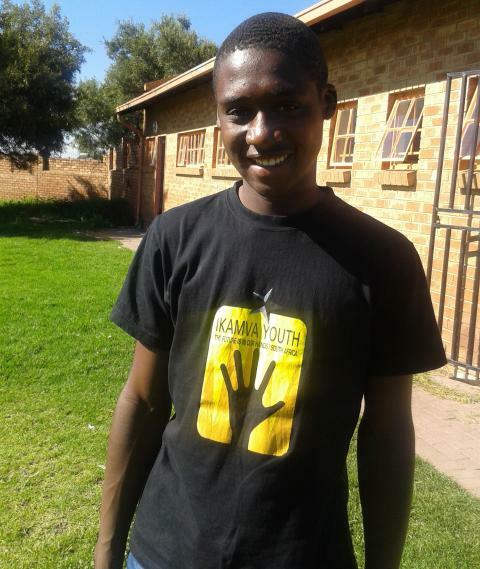 IkamvaYouth is partnering with the Western Cape Government to implement after-school programming to learners in township schools. The aim is to ensure significant academic improvement, assist learners with their subject selection and enable them to build the skills they need to take their futures into their own hands. A range of academic, cultural, and physical activities will be offered every day after-school to learners in grades 8 and 9 at the chosen MOD Centres. The Year Beyond Schools Coordinator will coordinate the project and facilitate the delivery of the academic support component, ensuring the smooth and effective operation of these after-school programmes by working closely with the independent service providers and stakeholders. To apply, submit a CV and motivation letter with “Year Beyond- Schools Coordinator” in the subject line to careers@ikamvayouth.org. 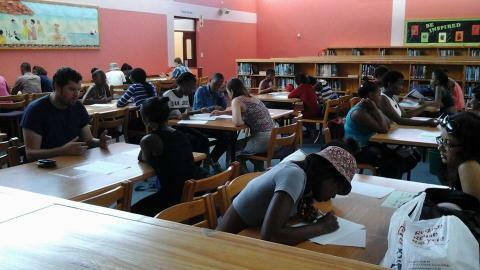 For more information about the Year Beyond programme, refer to http://www.westerncape.gov.za/yearbeyond. The main tutoring hall at the IkamvaYouth Chesterville branch was packed to the brim as we had our open day and prize giving ceremony. Amongst our guests were the parents, current Ikamvanites, aspiring Ikamvanites, our local librarian, and our dedicated tutors as well as staff from both the KZN branches of Umlazi and Chesterville. 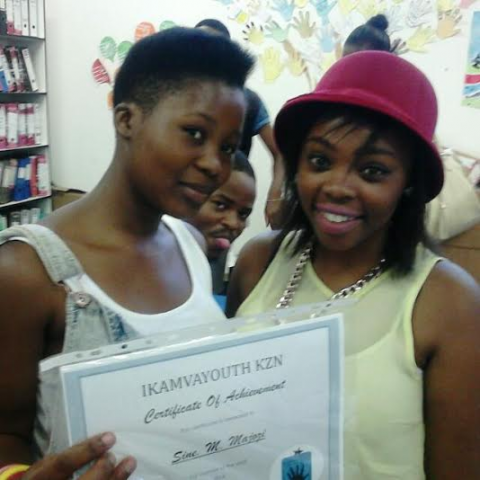 The guests were eager to know more about IkamvaYouth and to celebrate those Ikamvanites who performed well in the programme for the year 2014. 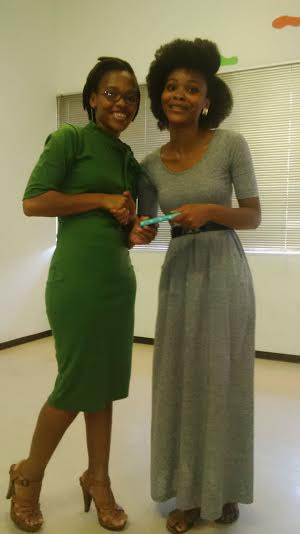 Our learners also participated in the programme, with two of our matric learners Lindokuhle Mbili and Lipuma Thabethe being our MC’s for the day. The speakers of the day were Thandazo Mkhize (Chesterville Branch Co-ordinator), and Zandile Dlamini (Chesterville Branch Assistant) who gave an overview of what IY is about as a whole. 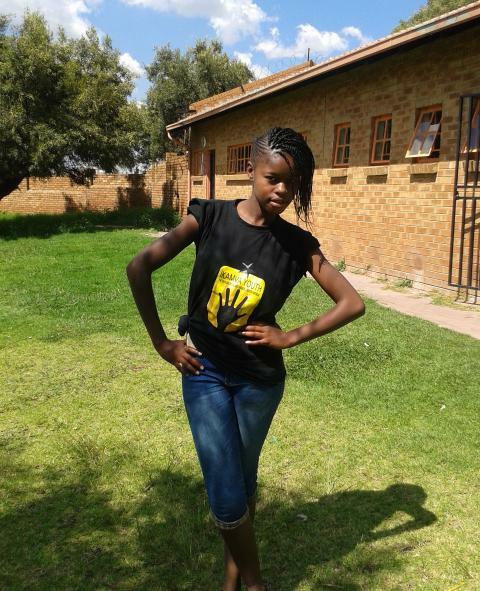 Thankfully, IY has many talented learners some of which were able to provide us with entertainment for the day with poetry and rhythmic rap music. We also had speakers from different walks of life. 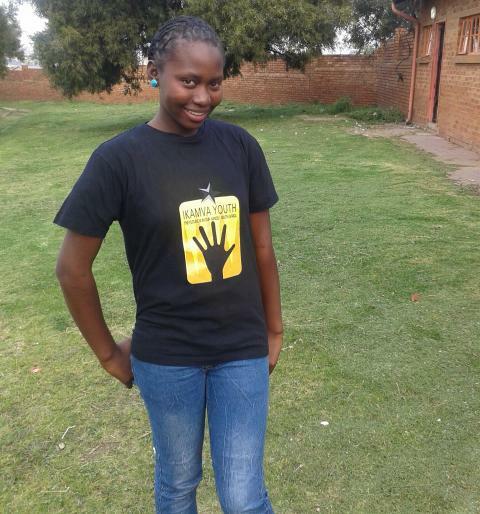 One of our past learners, Andiswa Tshabalala, from the class of 2014 was one of our speakers, she gave a very heartfelt speech about her experience at IY as well as where she is currently in life and her studies. Our other special guest Mzwandile Majola, a librarian from the local library spoke very well about the importance of reading and also encouraged the learners to read and visit the library more often for information. Speeches were not the only items on the program. Our special Prize Giving ceremony had to be the highlight of the day. 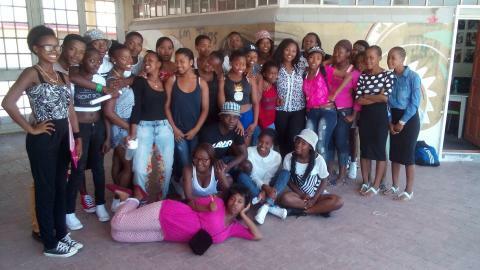 Led by N’thabiseng Zwane, branch assistant at the Umlazi branch, certificates as well as prize gifts were awarded to learners that achieved 75% and above on attendance as green attendance, 90% and above as Gold attendance while others received certificates for successfully completing the operation fikelela programme in 2014. 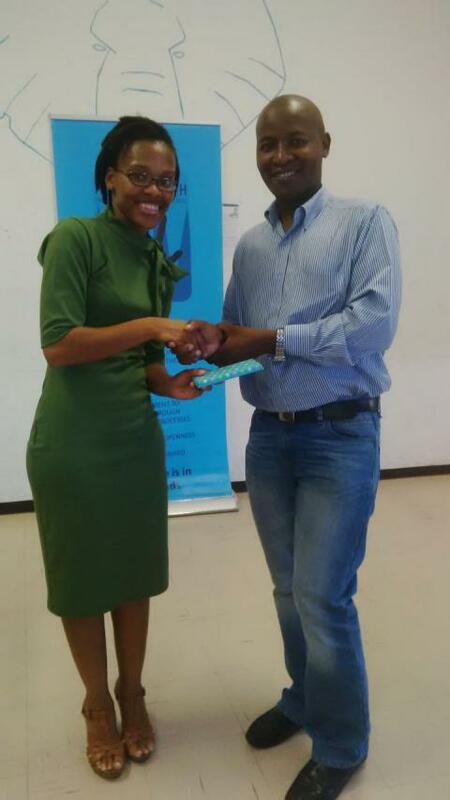 It would’ve been a shame to honor the learners and leave behind our tutors, so the most dedicated tutor of the year was also awarded with a certificate of appreciation, which went Nokukhanya Ngcobo who also delivered a lovely speech on behalf of the tutors. In closing, S’bonelo Cele, branch coordinator at the Umlazi branch, gave us a closing remark and vote of thanks speech to everyone who availed themselves for the event and more especially to our special guests, who were given a small gift as a token of our appreciation. One seldom finds the time to spend with nature, especially on a Monday morning. 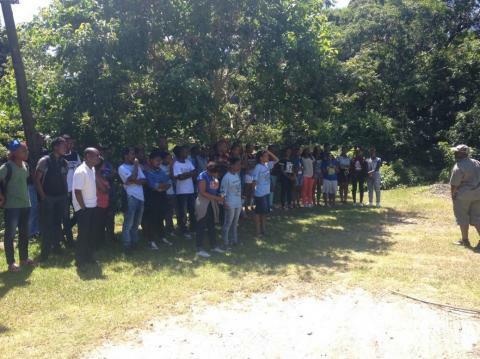 IkamvaYouth KZN Matric learners, staff and a few volunteers spent their Monday morning, 19th January 2015, embracing nature and its life lessons at the Kenneth Stainbank Nature Reserve and Wilderness Leadership School in Yellowood Park, Durban. Before the trail walk began everyone was instructed to switch off their cellphones or any other device that might connect them to the outside world. This was simply done to ensure that everyone becomes fully immersed with life in the wild and does not get to miss out on anything important. 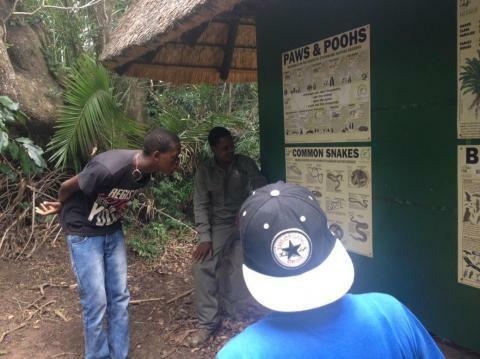 Our trail walk throughout the nature reserve was led by tour guides who have years of everyday experience of the wildlife. 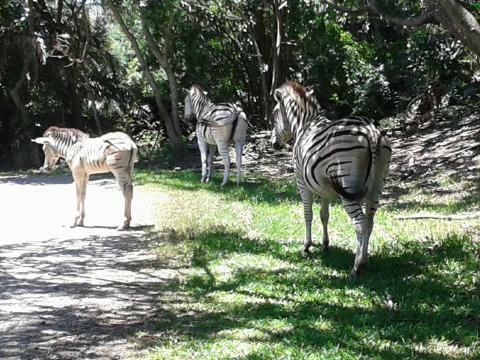 Along the trail we spotted a variety of wild animals, but not wild enough to eat us, thankfully. The animals seen at the nature reserve ranged from the Red and Grey Dykes, Springboks, Zebras, and although we were told to look out for snakes, we did not come across any. 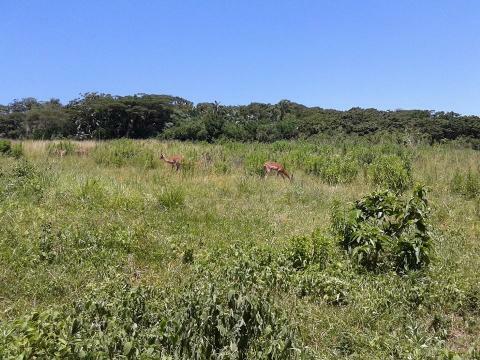 Some animals could not be seen but heard, such as the Purple Crested Lourie and the Sombre Bulbul birds. A lot was also learnt about the different trees we saw including our very own national tree the Yellowood, and the importance of treating natural habitats including the animals in order to survive in the wild and preserve nature. 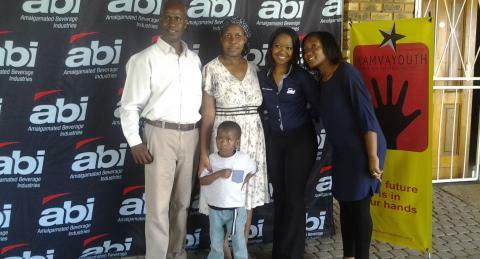 After a lengthy walk of more than two hours, everyone was treated to delicious lunch which was sponsored by ABI. 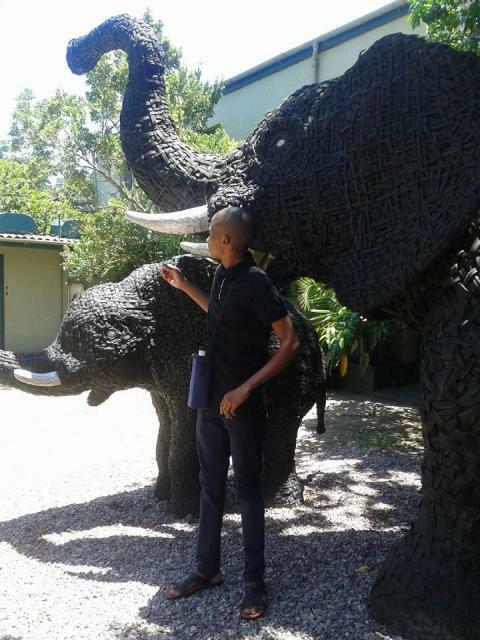 Visiting the Kenneth Stainbank Nature Reserve was a good exemplar of just how life’s lessons can also be learnt from outside the classroom and that nature also has a few stories to tell.